Indie Retro News: Black Star : Deaths Coming Home - Another great C64 game is coming from Achim Volkers and team! 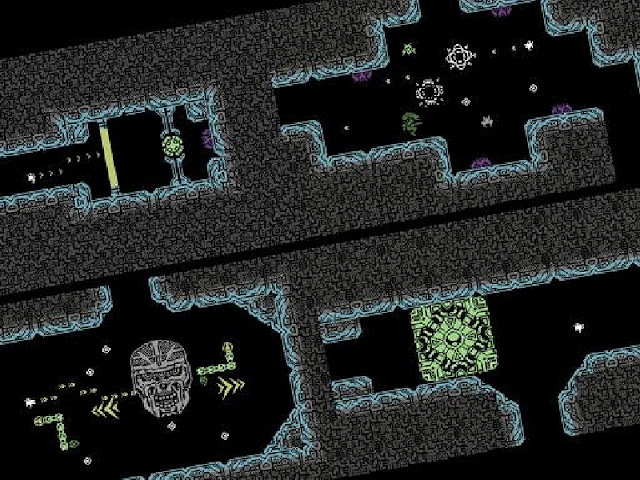 Black Star : Deaths Coming Home - Another great C64 game is coming from Achim Volkers and team! 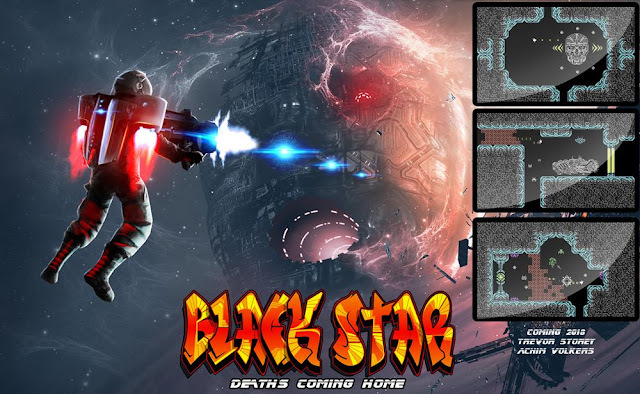 While most of you are still probably dribbling over playing Argus, or at least reading our great review by Hayes Maker of Achim Volkers, Trevor Storey, and Saul Cross's new game, you might like to know the same team are now working on another C64 game called ' Black Star : Deaths Coming Home ', which has yet to be revealed in full detail. What we can say is from the screenshots shown, is this game looks a lot darker and more menacing than their previous releases. The textures are lifeless grey, the enemies are menacing, and you look to be a guy in a space suit defending himself with a powerful weapon. And that is pretty much all we know so far, but keep watching this space as not only will we hope to get more info soon, we will still be talking about Legend of Atlantis and Organism, two other games that are still in development!